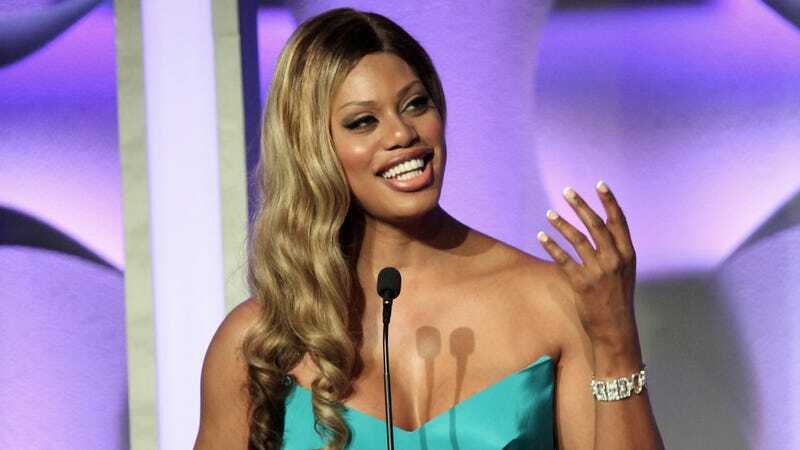 Orange is the New Black star Laverne Cox will executive produce and host an hour-long documentary to air on both MTV and Logo this fall called Trans Teen: The Documentary. BuzzFeed reports that the documentary will follow four trans young people between the ages of 14 and 24 from around the country. A few of them Cox found herself, through her speaking schedule at colleges around the country, but others were cast via personal YouTube videos they'd posted. Cox tweeted about the project on Tuesday, writing that she is "so excited to be working with @MTV on shedding light on some of the stuggles [sic] and triumphs of trans youth in the US." Cox has spent her free time not working on OITNB on a bevy of projects supporting the transgender community. Besides her active speaking schedule and the many interviews she gives, she's producing a documentary about CeCe McDonald called Free CeCe! Before that, Cox helmed the Vh1 reality show, TRANSform Me. As for MTV, their decision to take on this project is likely due (in part) to conversations had with GLAAD, who in 2013 announced that they were meeting with numerous television networks, including MTV, to discuss "ways in which the network could incorporate fair and accurate transgender characters" into their programming. That same year, MTV aired True Life: I'm Questioning My Gender Again which followed two young people who were considering reversing their transition process.